I understood the fact that a Desktop PC would offer the best all around, high-quality media and entertainment system, at least I thought I understood. Before I had considered building my own PC I had been running around with some console systems and had what I thought was a pretty high-end computer. I thought PC could be better than console gaming, but consoles were specialized at it right? I mean my PC was pretty good, running a AMD FX - 6300 6 core @ 2.7 GHz, 8 GB DDR3 RAM, AMD PowerColor Radeon R7 250 2 GB GPU on a 500 GB Toshiba HDD, a prebuilt bundle from CyberPower PC that was $500 after all. Yet it didn't seem to handle much better than my consoles at the time, so why would I ever really consider building my own Rig? Almost with divine timing, I began to look into AMD's website to see about firmware or software updates for my CPU/GPU since I had been having trouble with playing Batman: Arkham Knight. There were many players who said it was a poor quality port from console to PC. I still, felt like there had to be someway made playable. I did some minor research into AMD's website and seeing Ad's for their new "10th Generation, Polaris Architecture on the new RX series GPU's", I began to consider building a system of my own PC. After doing some reading on reviews and realizingt that I know how to code in Assembly, Machine, C, C++, and Java, yet my knowledge beyond the System FBus and basic Processor understanding for hardware was close to none. I decided I needed to take my time and lesrn how it all worked. I had been a strong advocator for AMD for a long time, having bought 2 of what I thought were very high-end gaming laptops powered by AMD/ATi Radeon, and finding quality in those better than any PC I had prior. I always considered Intel/ Nvidia to be affluent, evil, money-grubbing, corporate titans, who offered what AMD did, just in a prettier package which sells at a premium for no reason. Now this is not necessarily "untrue" given that AMD does tend to offer their own versions of many of the same features both Intel and Nvidia offer, however, AMD has been playing a faltering game of catch-up for the last few years especially, riding on their great value more than their innovations. This led me to research what the latest hardware was, and sure the AMD Polaris RX cards were a great product at a better value, but upon research into Nvidia's 10th Generation Pascal Architecture, and Intel's Skylake 14 nm Process architecture both providing industry revolutionizing speed, quality, features, and power/space usage with a relatively great price compared to similar products available. It became hard to argue myself into going for a decent budget build when reviews and hard numbers clearly put AMD's RX 480 8 GB GPU, their flagship, top of the line GPU, well behind the performance of Nvidia's 1060 Budget model card, at barely a better price offer at that. Also seeing that AMD has not had a CPU/APU offering for almost 2 years, thus no innovative Chipsets, Motherboards, or much to draw my interest towards an enthusiast build involving any of their product. Reality did rear its ugly face at me though, I mean truly could I spend the money to afford myself a whole new PC, after all, the one I had was functioning still. I thought a GPU upgrade would suffice my needs for performance. Nvidia's top offering of the Geforce GTX 1080 8 GB GDDR5X card at a hefty $650-700 value in comparison to the slightly more humble, MSI Nvidia GeForce GTX 1070 8 GB GDDR5 Gaming X card with a relatively do-able price of $450. I figured, the performance gain could never be worth the extra $150 for the 1080 card, that is just outrageous. I got what was the 2nd top of the line GPU at the time, but saved a massive amount. I easily deserved to put that savings towards something reasonably priced to get a better bang for my buck bargain right? I began price comparing the top rated CPU's as that is the next logical part in any enthusiast gaming build. Intel's flagship 6th generation Processor, the i7 - 6700k, rang around the $350+ range at the time, but simply one tier of quality down sat the Intel Core i5-6600K 3.5 - 3.9 GHz Quad-Core at a much fairer ~$250 price point. Roughly ~$100 less for the sacrifice of 300 ~ 700 MHz clock speeds (6700k 4.2-4.7 GHz, 6600k 3.5-3. 9 GHz) and hyper-threading? Also I definitely knew I could take advantage of the K series SKU of the i5, which offers the ability to manually customize processing, cache, voltage, and RAM speeds. This, at the time, was a no brainer for me. This is when I realized, shortly after purchasing my new processing unit, that I cannot expect to use this intel processor on my AMD PC. While looking at the requirements for intels unlocked core clock spesda. I learned quickly that the motherboard chipset is very much dependent on not only which brand of processor, but as well the generation and form factor of said processor. Luckily, the Skylake Chipset motherboards were available en-masse with bundle offerings for CPU coolers as well (another part I had overlooked upon my impulse purchase). After doing a little research, it became apparent that any attempt to now minimize costs at this point would only disappoint myself. There were plenty of budget motherboards available from the H110 bottom line boards, to the B150 and H170, slight professional performance boards. To get what I had hoped out of my new Processor, I would have to step into the enthusiast gaming realm of the Z170 chipset boards. Coming across the highly regarded, ASUS Z170 Pro Gaming board, bundled with a COOLERMASTER Tower cooling block, gave me the features I wanted at the price of ~$200. Now realizing, I had crossed over already into a realm of necessary compatibility issues, I then looked into the next generation DDR4 Ram kits, and a capable power supply unit to bring it all together. I found a fair deal on a G.Skill RipJaws V 16 GB (2 x 8 GB) 3000 DIMM Ram cards for $80 and a Corsair CX500 power supply for $40 (After mail in rebate). I now finally had my splurging settled and awaited my brilliant new hardware. We are still far and away from 80% of the parts from my list. Once I finally got my new case, installed all my components, and attempted to boot, nothing happened , no power/POST or any lighting from the Motherboard. After several days of part troubleshooting, I removed the CPU only to find several pins in the CPU socket were bent. Frustrated already of having wasted 2 days on this, decided to worry about an RMA request or any refunding or repairing later, and instead went out to my local Fry's and decided to upgrade myself to the msi Z170 Gaming M5 board, but of course grabbing the "refurbished" one for the price offering from $125-$170. Again, after building, no power at all, but I again tried trouble shooting for a day or two, only to return to Fry's and have them confirm the board was bad l. Almost 3 weeks, no computer, boxes filling my room, and a half-built hopefully still functioning pile of expensive parts. It drove me to return the ASUS and Coolermaster bundle, CX500 PSU and the G.Skill Ripjaws 16 GB memory, but instead buy the MSI Z170A Gaming M7 ATX LGA1151 motherboard. 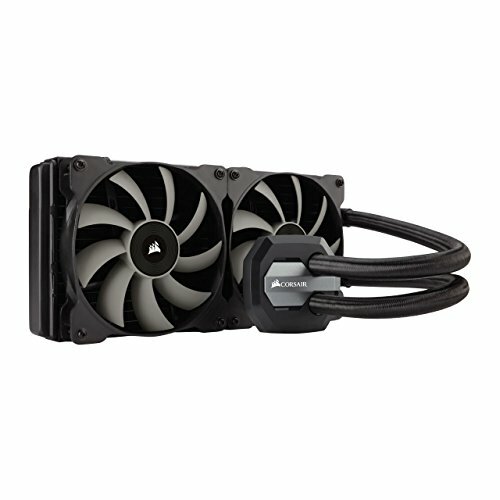 I grabbed a Corsair H110i V2 AIO Liquid cooler and a Corsair RM750i PSU. I returned both of those shortly after and grabbed a H80i AIO cooler and a Corsair RM650i fully-modular 80+ Gold-Certified ATX Power Supply Unit. I returned the H80i for my final choice, the Corsair H115i 104.7 CFM High-performance liquid cooling 280 mm radiator with 2 x 140 mm fans. A newly ordered set of the Corsair Vengeance LPX 32 GB 3200 (4 x 8 GB) DDR4-3200 w/ heatsink DIMM cards, a Western Digital 1 TB Caviar Blue 3.5" 7200 RPM 64 MB Cache HDD, to replace my less impressive Toshiba 500 GB HDD I had for so long. The 1070 is an impressive GPU, but would be wasted on anything, but a gaming monitor. I needed to replace my 24" viewsonic LCD monitor, with something more modern. Unfortunately I hadn't understood the improvement a G-Sync monitor would have given for the $200 premium mark-up on a monitor, but I have had no issues with my ASUS VG248QE 24"1920 x 1080 x 144 Hz monitor for $220 from Best Buy. 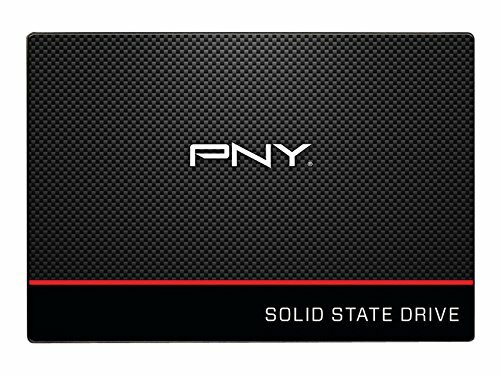 Alongside this monitor I also found a PNY 240 GB Sata III Sata 6 GB/s 2.5" SSD for only $65, a perfect size and efficiency to run my new upgraded Windows 10 Pro x 64bit OS. I@ had everything I needed, my computer finally booted and ran with flying colors, I hadn't known what I had been missing for so long, the headaches of bad parts was very worthwhile even by that point. I wasn't done yet however. I had read and heard a lot about the new M.2 Form factor NAND/NVMe Memory which revolutionized flash memory SSD's to whole new speeds and capabilities. The biggest factors to consider are price:performance and usefulness . Most of these form factor cards with capacities above 256 GB started at $175, and the novelty of using NAND style memory usually reserved for Laptop memory. In a desktop solution in order to offer faster speeds created the problem of heat dispersion. Where other memory storage devices are larger and slower, their size is correlated to their heatsink/ thermal solutions. The m.2 form factor was orignally designed for laptops and tablets as a form high speed, storage on even the smallest of devices. Traditionally, SATA AHCI had been the only connection tyoe to read and wdite storage data up to 6 GB/s. SATA had reached a theoretical limit, the simplest and best solution was to use the immense bandwidth of PCIe lanes to interface with storage devices. With imrpoved NAND and pcb design, there was now a form factor that could physically use the PCIe connection and make use of the PCIe power and data bandwidth of the PCIe lanes. M.2 SSD's have the ability to use up to 4 x PCIe 3.0 lanes by using NVMe design or non-volatile memory express. After a lot of deliberation and searching markets online, I had found a vendor on Amazon, offering the Samsung 950 Pro Evo 512 GB M.2-2280 SSD for $165,. A great deal compared to the retail $300~350 they usually went for, the catch being this one was refurbished. I took a chance on it, only because a friend had recommended using it in conjunction with AngelBird's new Wings PX1 M.2 to PCIe adapter/heatsink. Once I received both said card and adapter, I simply screwed open the Wings heatsink cover, inserted the Samsung 950 into the M.2 slot and applied thermal padding to help disperse heat from the memory card to the surface of the heatsink. I secured the heatsink cover to the top of the card and adapter. I removed an expansion slot cover on my case and inserted the adapter w/ samsung memory directly into the bottom most PCIe 3.0 x 4 lane in the motherboard. The Adapter offered no speed impeding all-gold circuits maximizing throughput from card to board. I installed the samsung controller and Samsung magician software allowed for full access of the card through the PCIe 3.0 x 4 port to reach bandwidth of 32 GB/s speeds, allowing for the market rated benchmarks of 2500 Read and 1500 Write speeds with greater than 300,000 and 150000 IOS read/ writes. Truly a memory unit to put the rest to shame. All for a fair market price of $250 (the AngelBird Wings PX1 adapter starting at $75). I quickly became obsessed and purchased the Logitech Z506 5.1 155W Surround Sound Speaker System, the MSI DS502 USB Gaming Headset w/ Mic for a complete 5.1 channel surround sound system, Xbox One Wireless Controller w/ Adapter for Windows 10 fod those console ports, solo games and driving games. MSi Gaming series Graphics Card Bolster is a simple to use and solid support for todays thermal solutions. Finally I found and bought Logitech G610 Wired Gaming Keyboard with Cherry MX Red switches which offers comfortable, tactile and audible feedback for every key stroke thanks to the Cherry MX red switches. Through a keen connection of mine, I was able to "find" a MSI GeForce GTX 1080 8GB Gaming X that had "fallen off a truck" for a notable upgrade in performance! 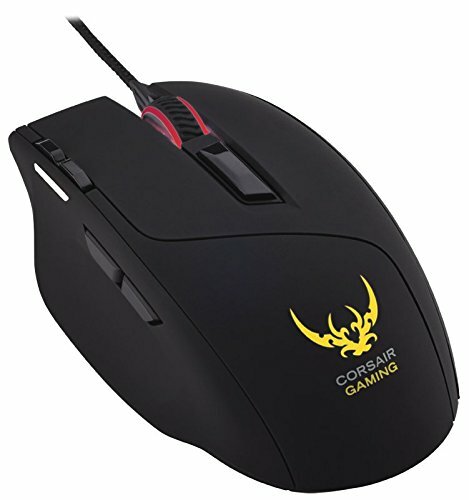 I found a very nice and very affordable Corsair Sabre Laser RGB mouse for only $25 online, works great and very precise especially compared to my OEM optical mouse. A friend of mine I recently helped selling an old GPU for, was kind enough to lend me his Lamptron CW611-B Fan Controller for free! This finally allowed me to control my 3 DC AF140 case fans, augmenting their speed for gaming and casual use. 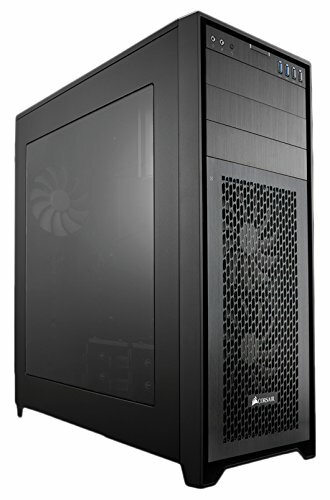 With the money I then saved on the fan controller, I instead went to corsair's website and ordered a Corsair 750D High-airflow edition ATX full-tower front intake filter kit for $20, essentially giving me the $179 case for $160. After helping a friend replace his white LED 140 mm Anidees case fans with RGB Thermaltake Riing 120 mm case fans, he let me have his all white 140 mm fans. I replaced my 2 front Corsair AF140L case fans and placed two more LED fans in the rear and top for exhaust, adding marvelous white LED light to normally darker parts of my case. Slight improvements on airflow and temperatures, major upgrade for aesthetics! If you asked me several months ago, what my end game vision would be for my PC, I would never thought I'd be with the set-up I have now, I went in only expecting to do some minor upgrades, and instead came out, with an entirely new PC, with nearly the top-of-the-line hardware. I am very satisfied and have far exceeded all my entertainment and media expectations and am proud to have entered the enthusiast performance realm. I purchased this CPU originally to satisfy myself til I could afford the i7-6700k. At first, I thought that hyper-threading/ and the higher clocking would make significant increases over the i5, and who doesnt want the best? After doing more research into the Intel technology, I realized that the i5 offers everything I'd need for a gaming rig minus some bells and whistles from hyper-threading and bigger memory cache (which offer little performance gains and the expense of higher heat creation). The i5 overclocked can easily attain speeds of 4.2-4.6 GHz making it in the majority a marginally less impressive CPU for $100 less. The new Skylake CPU offers amazing performance, fine tuned features, ease of overclocking and access to features, power/price efficiency that should be part of everyone's latest builds. I can't begin to explain how lucky my i5-6600k is from my ignorance booting up for the first time with no CPU cooler attached and leaving it in 75 C for a few minutes. Realizing quickly after that how vastly important cooling is for a PC in general I quickly upgraded from tower to AIO cooling. I found a refurbished H100i first and found great performance gains, but after needing funds for a new case and Motherboard, I had to return and instead downsize to a H80i, which still boasted excellent performance despite its size. After becoming obsessed with running a Pull/Push set up on the front of my branf new Corsair 750D case which had perfect space for a 240 and 280 mm radiator set up, I had to dip into the account for the H115i. A choice I do not regret despite having a fine cooler already. With 2 x 140mm fans pulling air into the radiator and 2 more pulling out, ny CPU rarely exceeds 35-40C on heavy load, that's keeping it quiet and is easy to monitor and change with the Corsair Link app. Everything from the LEDs to the pump pressure is editable in realtime. Perhaps overkill for my build, but any cooling solution that works should work too well. If there's was anything I wasted more time, stress and energy on during my build than finding a main board that I felt would be worth over $125. Going from a ASUS PRO-GAMING to a MSI M5 and finally finding the best price/performance board that would match my GPU to boot in the M7. Although most Z170 chipset boards carry the similar heatsinks gor the north and south bridge, PCIe 3.0 x 16 slots, M.2 NVMe slots, Dual Channel XMP DDR4 memory profiles and USB 3.1 type C ports. Along with the common features of a enhanced built in sound card with EMI shielding, and Intel CPU Overclock ready profiles and easy to use intuitive UEFI BIOSes with CMOS Flashing. This board has enhanced expansion ports which are reinforced to ensure and secure any bulkier cards. With the onboard Game boost CPU clock switch, Power and Reset button provides any new or seasoned overclocker the ease of access and tools they need. My only qualms are the semi-limited features offered by the BIOS, the overkill of the tacky red/black and dragon decals, and the odd behaviors in some of the MSi apps and utilities. Ultimately if you're gunna spend the $130 already for a Mobo, consider spending $40-$50 more on a M7 board. Although I know brand loyalty doesn't mean improved compatibility nor efficiency, however, these RAM cards are hard to beat , at 8 Gb for $50 with a XMP st 3200 and heatsinks to boot, give these efficient and beastly RAM cards their value, although perhaps overkill from the g.skill trident Rijaws V 2 x 8 (16 Gb) cards I decided to try to at least fill my DIMM slots and rub two dual DDR4 channels. Although the availability and low cost of RAM today shows little in the face of noticeable performance gains after 16 Gb. Found this cheap card on sale at best buy, was looking into M.2 cards already, but with the daunting prices cheap HDDs were more appearing, but i had forgotten the middld ground and how there have been slight drops in prices of the 2.5" SSDs that seemed to be far too expensive only a few years ago and now a 250 Gb stands jn ny machine, often forgotten next to ny 512 Gb M.2 and 1 TV HDD, however it is still effective and out of the way. I found a refurbished one for sale on Amazon for only $190 I havent had issues yet, (besides trying to get the full 2500/1500 mb/S read/write numbers ) aside from that have my OS and heaviest load games all booted and saved on this baby. Hearing about the problems with the m.2 SSDs and handling heat throttling and dissipation even under normal load,i mqde sure to grab a AngelWings PCIe 3.0 adapter and heatsink, which offers a simple alternative to the built in m.2 slots and runs the SD card through the PCIe 3.0 x 4 lane and offers passive cooling and no interference to the card itself. Nvidias newest GPU's have set a precedent where Intel and AMD's more recent and lack luster CPU's have become a slight disappointment. The Nvidia Pascal architecture is so efficient with heat, power consumption, and die size that it's hard to also consider the raw increase in throughput, VR capability, VRAM, clock speeds and overall stability at a much reduced size compared to maxwell. This is what has allowed Nvidia to set such high premiums on their video cards, however, even AMDs highest offering GPU is only as good as Nvidias Budget priced 1060 card. If one is considering raw price/performance the AMD RX series seems very logical, however, if one put these chips side by side, the 1070 and 1080 series Nvidia chips are in a class of their own, and I'd recommend anyone to instead go cheaper instead on your storage or CPU options and use any saved money there on at least a 1070/80/80 Ti card because it will alone show the most quality improvement. Though Nvidias partner cards may not be quite as aesthetic and expensive as their flagship Founders Edition offerings, the custom PCB and cooling shrouds from partners actually tend to modify and personalize these cards. Although MSi does have a tacky red/black gaming series with dragons and LED aesthetic, they are not just showing off. The MSI gaming series GPUs use dual MSI patented torx 2.0 fans, with a efficient fan controller which keeps fans off at low load below 60°C and only use as much of the fan as needed for cooling, this not only reduces noise levels, but also by reducing and minimizing the usage of the fan motors themselves saves power, heat, and ensures a longer lifespan for both fans. The heatsink is perhaps the most eye-catching part of this card, with rugged and showy heatpipes twisting along the side of the card, with the aluminum black backplate to reinforce aswell and you feel it too, this card alone is perhaps the single heaviest part in my rig. Ahh not quite the 900D, but at least a bit more manageable and less intimidating to move or transport. Honestly thought that most PC's were full-tower sized and mid-towers just got popular. That and having issues with the tower cooler I had been using being too tall for my former iBuyPower Mid-tower case, led me to this very clean, sturdy and a ball to work in case, the Corsair 750D. Upon receiving this case, I remember being daunted by the amount of customizability, organization options and raw build quality and space. It made installing parts much less of a hassle with rubber grommets allowing cords to be strung behind the motherboard stand-offs to keep a clean look and good airflow. The completely removable storage drive racks, with space for up to 6 HDD/SSD's with tool free install rack shelves, with no screws required! I do wish that there were better options for hanging the drive racks from the top of the case. Since I had run my AIO CPU cooler in the front as an intake , I had no space for a drive rack in front, but ample room on the too of my case for a hanging drive rack. Otherwise the case also has 4 very cleverly places 2.5" SSD racks on the backplate side of the case, which also were tool free. Though it is old school with USB drives, I appreciate Optical drives, and especially room for 5.25 drives with also tool free installation. Perhaps my favorite feature is the amount of consideration for airflow and cooling this case offers. The full 360mm top with the magnetic mesh filter, the 280mm space in front of the case running intake fans and with a filter and a aluminum cover for cleanliness, also having space for 240 mm radiator on the bottom front beneath where the storage racks are installed can be freed of the removable racks to allow further space and airflow intake from the cool bottom, with a 140mm rear exhaust spot for the included fan, but last and not least the removable filter on the bottom rear of the case, specifically to allow cold air into the PSU from the bottom of the case. Also the case shows perfect room to upgrade into a custom water loop with ample space between the Mobo and front of case to allow a pump, many cutout spots for tubes to wrap into and through the case alongside the many radiator options. Although the metal Mobo standoffs is sketchy and deserves precaution before any installation or removal, the general metallic build feels as sturdy as it looks. The simple, yet elegant aesthetic perfectly accents the completely viewable.hardware, (via the large side plastic transparent panel,) without coming off as gaudy or over the top. Along with the post purchased airflow edition kit, gives the case a consistent look with. The metallic accent, but also provides an efficient metal and poly mesh intake filter, that improves over the sold aluminum panel of the regular edition. I am one of those people who LOVE pointless headroom, especially in power supplies. 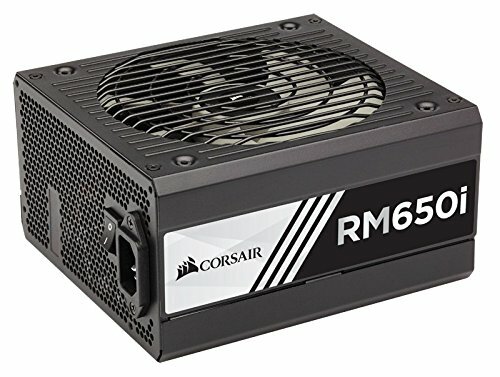 I had a hard time giving up the 750 W PSU for this $50 cheaper 650 W, even though I truly don't use more than 500~550 W even on load, but for the modularity and 80+ gold efficiency, and the zero-rpm at low load (under 80%) with the dual-rail option and Corsair link functionality make the RMi series of PSUs very high quality for a very reasonable price. Comes with many extra cables, a black cable ouch and a velvet black sack, and corsairs excellent guarantee warranty, it's hard to argue for a 750+ W PSU now. Pretty standard optical drive, isn't too loud, can read and write DVD/CDs fine, no Blu-ray functionality though. I believe I received the pro edition on accident, but it's connected to my account now either way. Some people say they have issues after the forced Windows updates, however, with pro, Ive never had any issues, windows 10 is a refreshing OS that brings back the simplicity of windows XP/7 but with a much improved interface, functionality for both aesthetics and productivity. Not too fond of the integrated Cortana nor edge browser, however, there are options which make them less obvious. Honestly, this was not my first choice of can controllers simply because I wouldn't spend the money and use the full feature set of this controller. However, having said that, this is a beautiful, simple and efficient fan controller to use. The digital display is excellent and minimalist, displays voltage or RPM, which fan is selected, % of selected fans V or RPM, thermisters temp is displayed in the top right per thermistor in C or F. Allows for liquid pumps, and different fans to be controlled automatically by thermistor temp or manually through voltage/RPM speeds. Although it fits well into my 5.25" drive tray, the short brackets on the controller make it difficult to work with unless it's allowed to hang out the front, on my case there is only 1 screw hole that lines up from my optical drive tray and the controller brackets, so it hangs a bit loose. The screen cover and led monitor are a bit separated on my controller, so I occasionally have to press on the screen to properly illuminate the screen. Otherwise looks beautiful, works well, haven't been able to use thermistors without thermal adhesive/tape, also makes a loud beep on computer boot, but very easy to use. Not the most top of the line gaming monitor, no G-Sync/freesync, only supports 1080p,relatively small 24" TN panel, so colors aren't optimized and no true black. For the price of $220 however, is a very well made budget gaming monitor that doesn't push 4-500 dollars. It has a dynamic adjustable and rotatable base plate that can also swivel. Comes with a lot of settings to change and presets. Has gaming options like permanent cross hair displays and timers. Also has Nvidia 3D (although I have not used this functionality yet because I have not yet ordered any 3d glasses). The 144 Hz is where this monitor shines in gaming performance, although needs a DVI-D or DP cable to achieve 144, once you do, 60 fps is just too choppy. Also has built in speakers to boot. I was very happy to find a Cherry MX red switch mechanical keyboard that was less than $100. Although lacks the bells and whistles of RGB, and extra gaming keys, this keyboard has the most desired features without breaking the bank. Only has white led backlights, can be controlled with software (however software has had stability issues on my machine) to have different patterns. Simple volume wheel, gaming button disables Windows key from being mispressed. And the cherry red switch has a wonderful resistance and press feel, with audiblly pressed keys. Not too expensive, however, for the quality may not be worth $50. Has kind of goofy red LED MSI gaming dragons on both earmuffs, that cannot be turned off or controlled. Otherwise the comfort of the headband resistance bracket, actually relieves the stress headphones tend to cause from prolonged use. The audio drivers are well made for the digital 7.1 surround works very well. App has a lot of options to tune, mic is sensitive, however, does not allow ambient noise to penetrate, like breathing or static. Well made braided chord. May not be 7.1 surround, however, these 5.2 get the point across. The sound quality is excellent, however, not all apps and games properly use the full surround capability, set up can be confusing with so many input and output aux chords, but given patience can be set up properly. The sun woofer is very good, and handles bass sounds efficiently while also being adjustable to preferred bass. I bit expensive and a bit show-offy for a simple GPU bolster, however, couldn't find anything quite like it with as much aesthetics. Simple to set up, just screw on the foot runners, attach as many pegs (up to 4) for as many components you need to bolster and compress and put in your case and simply adjust the peg to gently press against any possible sagging components. Wow, that's very nice for a first build. 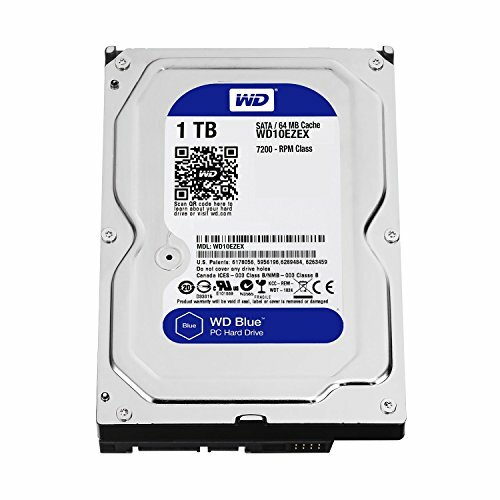 I also recently built my first PC, and I was wondering if you thought that the M.2 drive was really worth it. Currently, I have my OS running on a Samsung 850 EVO 250GB SSD. Do you think that the M.2 Drive is really that big of an improvement over a 2.5" SSD? Thanks, and I hope you have a wonderful time with your new PC. Good question, for purposes of speeding up an OS boot time or any OS properties, the samsung (or and standard 2.5" ) SSD wont show any slower than a M.2 Samsung 950 Evo Pro. I had both with OS's and i left my windows 10 Pro OS on my PNY 250 GB 2.5" SSD. The boot time is the same on both and other than that, other processes aren't noticable either. Where the M.2 does shine is for gaming, media or any large application runtime and load speeds. A basic 7200 RPM HDD run at about 8 Mbps Write/ 16 Mbps Read (150 write iops/300 Mbps Read iops). A 2.5" SSD will run about 275 Mbps Write/ 500 Mbps Read ( 75000 Write iops/ 125000 read iops) M.2 SSD's, specifically the Samsung 950 Pro Evo, runs at 1500 Mbps Write/ 2500 Mbps Read ( 150000 mbps Write/ 300000 Mbps Read). For example on Overwatch, I will load into character select almost 5-10 seconds before other players.